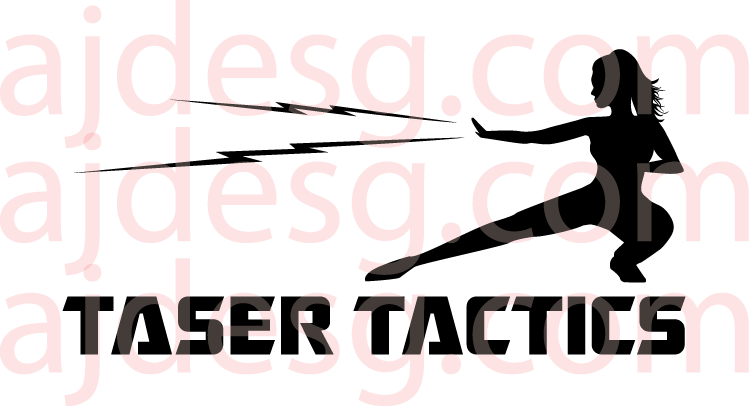 This logo was created for a local company, Taser Tactics! They specialize in self defense with the use of a taser, keeping you out of harms way, but still able to defend yourself. Concept: The power for self defense is in your hands. Creative Concept: The client wanted a strong female in their logo along with other elemtents to show she isn’t afraid to defend herself. The vibe of a female warrior is very present along with elements that connect back to the product, which is the taser. The two lightning bolts represent the two barbs that fly out of the taser, making this an effective design without being overly obvious. The stance evokes strength while the bolts flying from her hand represents her determination. Please check out Taser Tactics facebook page, and be sure to visit their website!